Smartphones and tablets may have taken over the world, but watches remain just as relevant as they were. That is why there is such stiff competition in the smartwatch market. Today’s Smartwatches are built with features that make them function almost like Smartphones. Lovers of watches can do almost everything that they would be able to do with a Smartphone. Kospet Hope Watch Phone is a new generation watch with an array of new features meant to give you a different experience. The watch comes with 3G and 4G modules for internet access, making it an ideal gadget for internet browsing. The 4G module is as good as any Smartphone in the market today. The watch is also fitted with a powerful 8mp camera. With this camera, taking photos is as easy as checking the time on your watch. The strap is made of pure silicone, which is breathable, friendly and comfortable for your skin. Pure Silicone is also long-lasting. However, if you need to change the strap after buying, there are real leather straps available at authorized shops near you. Since a watch has a smaller screen, the quality of the display is very important. 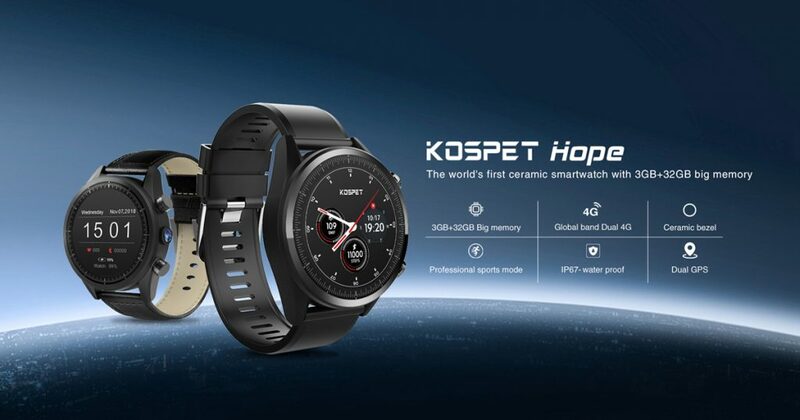 The Kospet Hope Smartwatch comes with 1.39” AMOLED screen. The AMOLED screen is a postmodern technology that has been hailed for displaying more detail than the standard LED and LCD screens. Viewing the screen on your watch is not an ordeal especially when it id on the internet. The Kospet watch also has a quad-core processor with a speed of 1.3Ghz. Its performance is further enhanced by its 3GB RAM and an internal Memory of 32GB. This allows you not only to access the internet but also to download and to store all the important things you need. The watch’s system runs on Android7.1.1. With this latest Android version, you will be spoilt for choice when it comes to downloading funny apps on Play Store. Built-in GPS-GLONASS technology helps to automatically detect your location and to recognize things that are around you more accurately. 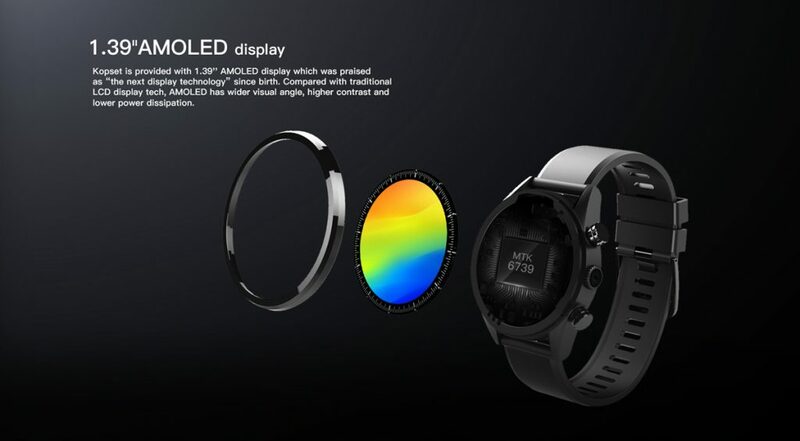 Another interesting feature of this watch is the PPG heartrate monitor that makes use of the modern PixArt Technology. This helps to keep track of your pulse and the rate of your heartbeat when exercising. Finally, the watch is protected by ip67 waterproof technology, making it safe for you to walk with even in the rain. The Kospet Hope Smartwatch is the ultimate combination of class and convenience. It gives you the desired business touch without being a burden to you. Buy it today and start enjoying the experience. You can take advantage of the discounts that will be available in Banggood during Black Friday.